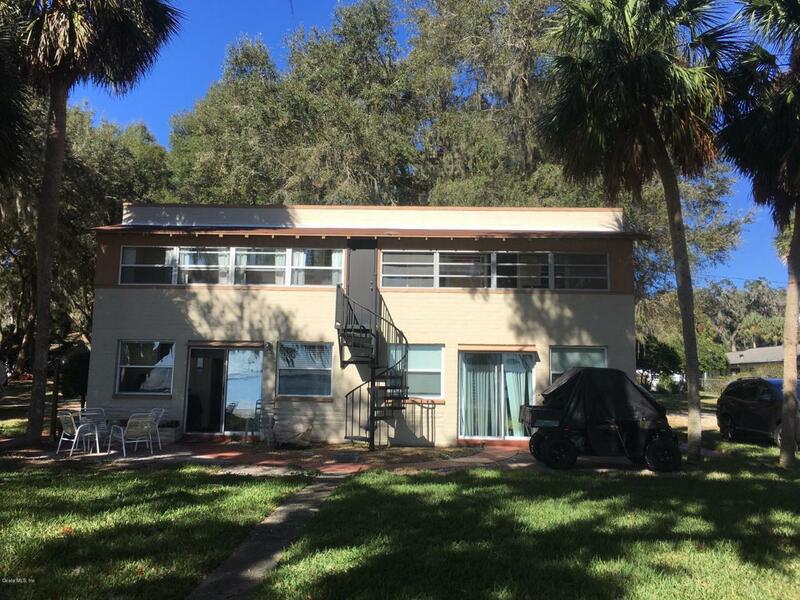 Package of (4) 1 Bedroom/1 Bath Units on beautiful Lake Weir! Property is 2 stories with 2 units on each floor. 160' +/- of white sand beach on a very nice .62 Acre lot. Property has mature oak trees, storage building, dock and so much more. 3 platted lots - 2 at 50' and one at 60'. All 4 units are very nice. Unit 1 even has a private boat lift! Unit 2 is mostly remodeled and in nice condition. Units 3 & 4 have had extensive remodeling and high quality finishes. A great waterfront property!